Discover the most breathtaking scenery by taking a trek on our Connemara Ponies on the beautiful island of Inishbofin. Minimize physical, social, behavioural, and psychological impacts. Operating an Equestrian Centre on an Island is a totally different experience than on the mainland and the best part is the wide open spaces over the commonage where the horses can walk away peacefully while the visitors get the chance to both enjoy the horse and the beautiful surroundings of Inishbofin while hearing about the history, culture and wildlife surround them while out on the treks. 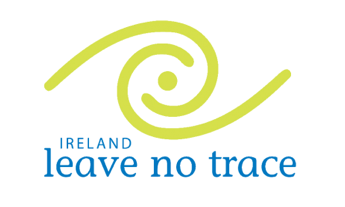 Inishbofin Equestrian Centre has committed to the Leave No Trace outdoor ethics educational programme and has adopted this policy for the Equestrian Centre and has committed to informing all our visitors and suppliers of this policy. Inishbofin Equestrian Centre is committed to the use and purchase of environmentally and socially responsible products in order to reduce the impacts of the products on the environment and human health. As Inishbofin Equestrian Centre is a small scale centre and not an intensive one we aim to keep all our activity respectful of the environment that we live in. At Inishbofin Equestrian Centre there is no use of electricity/gas throughout as a source of energy as there are no sheds/indoor farming facilities at the centre. The horses are kept in the traditional way outdoors. The centre keeps its carbon down to a minimum by the use of only one vehicle, which is a two litre car only used on occasion to pull the horse box when moving the horses. The office is in the owner’s house and electricity is used for the computer and the light in the office. All power is switched off when not in use and lighting is with energy efficient bulbs. Visitors are encouraged to use the public transport to get to the ferry port in Cleggan and while on the island to walk or cycle to the farm. In general there is very low waste from the centre as it is not intensive. All plastic/glass/cardboard containers/bags are recycled using the Island recycling facility. Any pallets used in the delivery of hay are returned to the suppliers for reuse. When replacing wire fencing the old wire is stored until the bi-annual metal collection on the island were all the metal is collected and shipped out for recycling. Most water troughs in the fields were replaced with ‘one drink’ water troughs as this prevents waste of water. The older type troughs were too wide and allow water evaporation on sunny days. In most fields there are existing drains/rivers which the farmer has created ‘set pools’ where the sheep can drink from thus reducing the use of mains water supply. (Mains water supply needs to be in all fields in case of dry summers). Detergents and disinfectants are not used at the centre. Any washing of dosing guns/needles etc is done at the house and ‘Lilly’s’ eco friendly products are used. There are no sewage/grey water treatment facilities at Inishbofin Equestrian Centre as they are not required. The centre has an agreement with the Doonmore hotel, which is 100m away, where visitors can use the toiled facilities. The home/office has a septic tank/water treatment which is an Anua Puraflo primary, septic tank, and secondary peat biofilter system designed to meet all the needs of the house. The system is installed in accordance with Section 7.1.1 of the EPA Code of Practice 2009 for wastewater treatment system and disposal systems serving single houses. The tank is serviced and maintained on a regular basis. The house is situated on its own small site which is not part of the actual farm. All visitors are encouraged to use the bus to travel to Cleggan where from there they get the ferry to Inishbofin. Visitors are advised to travel with as little waste products as possible and what they use to take it home for recycling. Visitors are encouraged to bring hard reusable water bottles and to stop using plastic disposable ones. While on the Island visitors are encouraged to walk of cycle and avoid hiring taxis to travel short distances. In order to reduce pollution at Inishbofin Equestrian Centre the centre only operates one vehicle which is a two litre can only used on occasion to pull the horse box. Most of Inishbofin Equestrian Centre is in a Special Area of Conservation and part is also in a Special Protected Area. All visitors are informed of the ‘Leave no Trace’ code of conduct. While visiting Inishbofin Equestrian Centre 100% of the visitors’ time is spent outdoors in nature and visitors get to experience nature in a very personal way while on the horses. The maximum amount of people is 7 on any experience so the visitor gets to hear about the SAC and SPA designations on the island and what they mean for the wildlife and the local population within the natural area of Inishbofin. The farm participates in the Green Low carbon Agri-environmental Scheme (GLAS) and as part of the special measures is working to protect the Corncrake, Lapwing and the Barnacle Goose along with other measures to help the wildlife and biodiversity on Inishbofin. The owner of Inishbofin Equestrian Centre is a member of the Inishbofin Conservation Initiative and is also a member of the Irish Whale and Dolphin Group. When out on the treks visitors are informed about the landscape and the history of the areas they are riding around with the opportunity to see and hear the different birds and animals throughout the landscape. As an example many visitors are astounded that they can hear the rare corncrake while they are trekking around the island. On a local level, Inishbofin Equestrian Centre is a member of the Inishbofin Conservation Initiative, which was founded to sponsor important work on the island, including the “Save the Dunes” project on Dumhach Beach. On a national level, Mary is a member of the Irish Whale and Dolphin Group. Inishbofin Equestrian Centre is an active business on the island and benefits the community in many ways. Local labour is used at certain times of the year when the activity at the centre demands extra help. The local tourism community also benefits by having the opportunity to advertise the Equestrian Centre and its experiences to its customer base which will bring an increase in the number of passengers for the local ferry owners and the island’s hotels, bars, and restaurants will benefit as the visitors will need to eat/drink/stay while on the island. Visitors’ satisfaction rates will be continual through visitors’ comments (visitors’ book, email, facebook) and visitors are encouraged to inform us of anything they think could be improved on or something they discovered elsewhere that could work as part of the equestrian experience. Inishbofin Equestrian Centre currently has a five star rating on its facebook page. The vast majority of our marketing for the Inishbofin Equestrian Centre and our Eco Experiences will be done online through our website. www.inishbofin.com and facebook. Any printed material will be on recycled paper but the intention is to keep this to a very minimum. Inishbofin Equestrian Centre wishes that all visitors enjoy their experience(s) with the centres activities and the message to all customers is to respect all animals and wildlife. The visitors are informed to respect the Leave no Trace principles while on Inishbofin. Visitors are encouraged to interact with the locals and to use the local hotels, pub, shop, restaurants, craft and heritage shops, community centre, diving, cycling, farm visits and angling and all island activity which will enhance the visitors experience of the islands culture and at all times to be aware of and respect the small island that they are visiting.